New year, new book! Join us for the January 2017 Book of the Month selection, Hidden Figures by Margo Lee Shetterley. This post contains affiliate links. Compensation will be received on any purchases made through these links. The true story of the black female mathematicians at NASA whose calculations helped fuel some of America’s greatest achievements in space. Soon to be a major motion picture. Originally math teachers in the South’s segregated public schools, these exceptionally bright women answered Uncle Sam’s call during the labor shortages of World War II. With new jobs at the fascinating, high-energy world of the Langley Memorial Aeronautical Laboratory, in Hampton, Virginia, they finally had a shot at jobs that would push their skills to the limits. 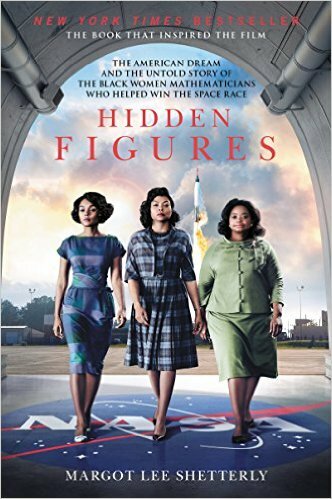 Starting in World War II and moving through to the Cold War, the Civil Rights Movement, and the Space Race, Hidden Figures follows the interwoven accounts of four African American women, Dorothy Vaughan, Mary Jackson, Katherine Johnson, and Christine Darden, for nearly three decades as they participated in some of NASA’s greatest successes. Visit the online discussion in our Break Room. The Break Room is our online book club. Come by to discuss this month’s selection and to meet new friends.